Pioneers in the industry, we offer liugong clg 414 bsiii motor grader from India. We are considered a trustworthy name in the field that brings forth LiuGongMotor Grader, which operates at an excellent speed. Featuring air-conditioned cabins, these graders are appreciated for their efficient performance, ease of operation, longer service life and tough construction. 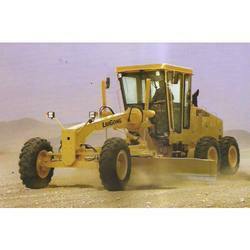 Motor graders are tested on a varied series of parameters, before the final transmission. Looking for Motor Grader ?